This is a guest post by Kelsey Eliasson, who blogs at Polarbearalley, with his thoughts on the issue of the invasive research involved in polar bear mark-recapture studies around Churchill, Manitoba — which, as you’ll see, is a far different situation than I described for Nunavut (previous posts here, here, and here on this topic. Map below to get you oriented). Kelsey is a writer, artist and polar bear guide who has spent 14 bear seasons watching the polar bears of Churchill. For five years, he ran Churchill’s monthly newspaper published occasionally, the Hudson Bay Post. Currently, he divides his year between the Yukon, Churchill and, occasionally, Riverton, home of Manitoba’s largest moose statue. 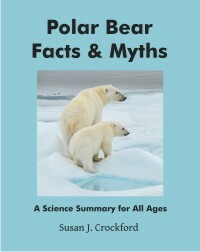 Churchill lies in the Western Hudson Bay (WHB) polar bear subpopulation, governed by the Province of Manitoba, while the community of Arviat, also in the Western Hudson Bay subpopulation, is overseen by the Government of Nunavut – different governments, different rules – as Kelsey points out below. The recent post about Foxe Basin was of particular interest to me, as I have been following the growing gap between the north and science for some time now. The stance taken by the Inuit is viewed as an inspiration by the guides over here in Churchill. For many years, we have tried to voice our deep concerns over the levels of handling and drugging that our bears (the Western Hudson Bay population) are subjected to on an annual basis. This time last year, I tried to raise the topic for discussion after Andrew Derocher announced that ‘everything was on the table’ including feeding bears. At that time, the top polar bear researchers had sat down to discuss options for saving bears – except reducing handling and research – i.e. chasing bears down by helicopter and then shooting them with tranquilizers. In return, Dr. Ian Stirling himself responded to my open letter and denigrated my opinion by claiming that studies had shown that things are fine and that my opinion had little validity as I did not even have a science degree. The previous fall, I had ‘mended’ fences with Polar Bears International (PBI) and had agreed to work with them on providing the arctic’s view of polar bear issues. After daring to question the use of radio collars, my funding and all communications with Polar Bears International were promptly withdrawn. I was eventually accused of ‘throwing Ian Stirling under the bus’. Such is life. The fact is that I do not have a science degree but I have been working in Churchill for fifteen ‘bear seasons’ now. In fact, I worked at the Churchill Northern Studies Centre back when Ian Stirling would sit at the dinner table there and harrumph about the tundra buggies and their detrimental effect on polar bears and how bad the buggy drivers were… that was, of course, before the scientists got free passes to the show. Fair enough. Over my fifteen years, I have, however, seen the effects of radio collars. Early in bear seasons, you get a wave of bears, quite often there is a morbidly obese female whose pregnancy has obviously failed for some reason. Most often, I have seen these bears with radio collars. Collars are placed bears in the fall, while not at their lowest annual weights, they are lean. As females must gain, around 400lbs for the egg to implant. Even without witnessing it firsthand, the math is fairly simple. Sometimes, when you are watching a bear, it will get up and run seemingly no reason. Soon, you hear the helicopter approaching and realize just how strong their senses are compared to yours. Some bears are so skittish you can’t get within half a mile, these are usually younger bears who have been ‘handled’ for the first time. Some old males simply get up, walk away and hide before the helicopter arrives. This past season, we finished the year with a distressed female, again with a radio collar, who had just lost her cub. Now, of course, we cannot scientifically prove this, its just through local experience with bears that we all know this to be true. The bond between mother and cub is strong in most bears and when a female loses a cub, it is a devastating blow. This female was completely out of her mind, running randomly and frantically along the road, oblivious to almost everything else, including us. After a couple days of completely erratic behavior, she just lay down in the willows and did not move. From our point of view, it just looked like she was just overwhelmed and gave up. NGOs were in Churchill at that time placing radio collars on females – she may have just been collared; she may have still been under the influence of the tranquilizer – we’ll never know. No one will, there is no follow-up. Even when a collar stops transmitting, it is most commonly classified as ‘failed’ – lots of collars ‘fail’. I can give more examples but still it just comes down to my fairly uninformed opinion. The trouble is that everyone’s opinion is uninformed. There is no real follow-up on the cumulative effects of research and handling on bears. Cattet touched upon this issue in his 2008 study (before he did, he was THE expert on drugging and handling bears, not so much now…). Since then, the top researchers have responded with ‘proof’ that radio collars are fine. But it is proof that does not show any real tracking of cumulative effects, etc that I can see – again, I do not have a science degree so take that for what its worth. What I can see is that in the most recent population study of Hudson Bay bears, the WHB population is under performing in terms of litter size and proportion of cubs as compared to SHB and FB. This is in the same ‘closed system’ of Hudson Bay and with less hunting pressure. Yes, ice patterns have changed more along the western side of the bay but the main difference in these populations is the level of invasive research. How can we say that Telazol does not affect the mother’s milk if her meat is unfit for human consumption? How can anyone sit down and say that chasing a female with very young cubs is not detrimental to that family? Who thinks that a female’s stress hormones do not skyrocket while she watches, paralyzed, while we pose with her tiny cubs? Yet, this is what we are told. The science is settled. Guides in Churchill have been pushing to reduce the level of handling of these bears for many, many years now. Churchill’s problem is that there is no Inuit organization or advocacy group that represents these concerns. 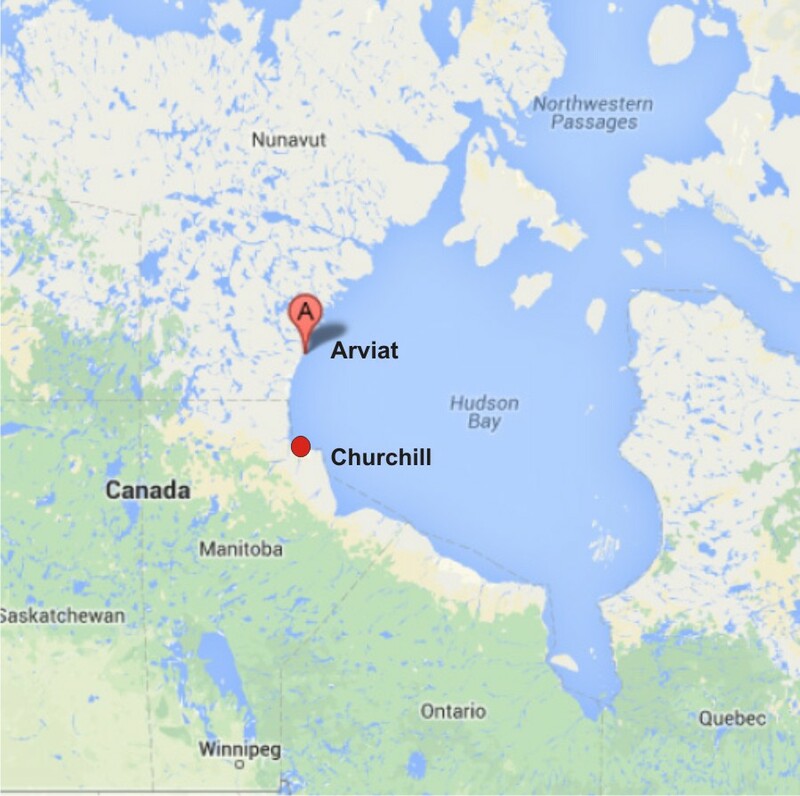 All Churchill has is the Province of Manitoba and Polar Bears International. Both of these groups seem more interested in using our bears to promote a ‘greater message’ than looking at less-invasive handling. Since the plight of the polar bear has hit the media, radio collars and handling of the western Hudson Bay bears has only increased. To ‘save’ bears, we have webcams, webcasts, webinars, cute blondes in blue jackets and a whole bunch of fluff that asks people to turn off their light switches and visit their local zoo. Millions of dollars flow to zoos while we haggle about $200,000 for an aerial survey. 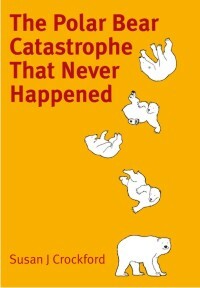 It’s all a bit ironic, as the founder [Dan Guravich] of Polar Bears Alive (now PBI) spent much of his life campaigning against invasive research. What is even more ironic is that, with everyone lining up to save Churchill’s bears, the only reason that a less-invasive alternative to mark-recapture was ever attempted in WHB was because the Inuit were hoping to increase their hunting quota. 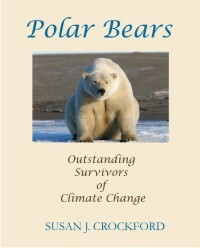 This entry was posted in Guest post, Population and tagged Churchill, Derocher, failed collars, helicopters, invasive research, Kelsey Eliasson, Manitoba, mark-recapture, Nunavut, objections to mark-recapture, polar bear, PolarBearAlley, satellite collars, Stirling, Telazol, tranquilizer drugs, western hudson bay. Bookmark the permalink.